The most interesting detail is that these cameras are the first Nikons to have sensor-based image stabilization. Was all looking really promising until I saw they only have a single memory card. Seriously? That is a massive failure! That has pretty much eliminated many working professionals, especially wedding shooters, that require the safety net of dual cards. I was wondering if I was going to cancel my orders for a couple A7iii's, but this alone solved that problem. Got to be deliberate on Nikon’s part. 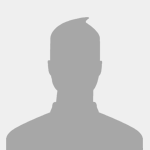 Perhaps points to a fully professional model after a suitable shakedown period. The D5 successor? I understand your point about the dual cards...there are other pro level features missing as well. To be honest, they also left some room at the upper price point (think D5 vs. D850) for a future mirrorless "pro" body. It is going to be awhile before any of these are out in the hands of lots of photographers who have or will pre-order. Then it will take some time to find any potential issues...so I figure I have plenty of time to wait and read before I have to decide to D850 or Z6 or whatever other options are available by then. The good news is I can use my existing lenses. They did publish at least a partial list of Nikon's own gear that is compatible so I know I'm good. It will be interesting to see how the 3rd party lenses work with the adapter. The lack of dual card slots seems to be the biggest concern for most people looking at this camera. Initially, I felt the same way although, to be honest I don't use the second card slot in my current Nikons enough to call it a deal breaker. And, have you seen the size of that card!?! Adding another slot for that card would not be trivial. But TBonz is right about some of the other stuff and, frankly, I was really surprised by the price tags. I was expecting them to both be much higher. There is certainly room at the top for a really pro mirrorless camera in this line. Maybe these two cameras are the Nikon equivalent of sticking a toe in the mirrorless waters. The secondary card does not have to be the same type. The D850 and D500 use an SD card as a secondary slot. It’s seems like there is a lot to work or improve upon, however I cannot seem to hide my excitement of their entrance in this arena. The Z6 is supposed to be the more affordable version? At $2500+ including a lens, that certainly prices it above what the average consumer will pay. I was doing some thinking about this and quite honestly started laughing...I did a good amount of shooting in the 70s and 80s - over 1000 rolls of film...some weddings, some concerts, some sports, and lots of travel...Those cameras didn't have a second roll as a backup and your motor drive / winder was as powerful as your latest purchase of AA batteries. No biggie because you were changing rolls of film every 36 frames or so vs. the 300+ images with the new batteries. Yes, I know...times are quite different as is the competition and the video Mike posted was pretty interesting...Just providing a reminder of how far we have come in a short period of time and how if you really want to get down to it, the things we are all mentioning are nice to have, maybe important to have, but not necessarily required for quality photography. 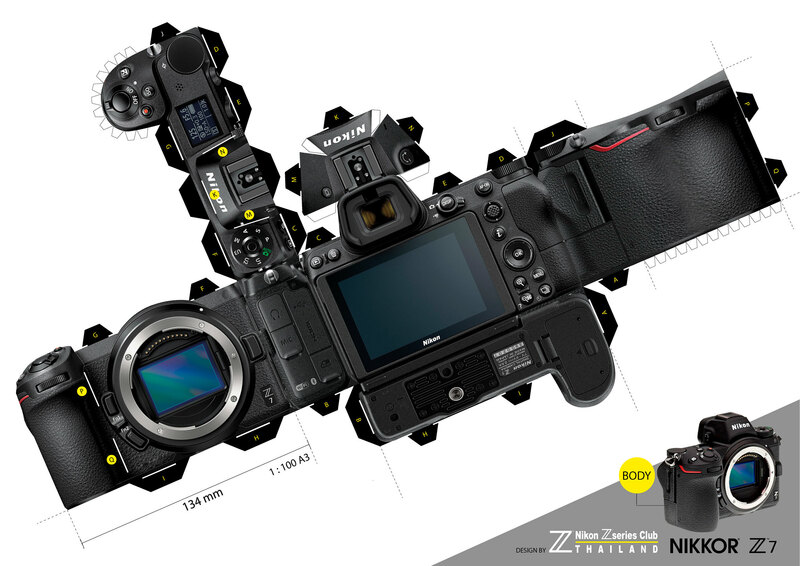 As I said it a previous message thread, this is Nikon's first pro, prosumer mirrorless system. And, as Thom Hogan has said many times, Nikon's marketing department is terrible at getting their message out. There is an awful lot of misinformation floating around the internet. And, even when the info is right it's usually half baked. However, pre-orders seem to be strong. Strong enough that Nikon is already apologizing for not being able to meet initial demand. Apparently, the cameras that were used to provide those lousy battery results had seriously pre-release software. 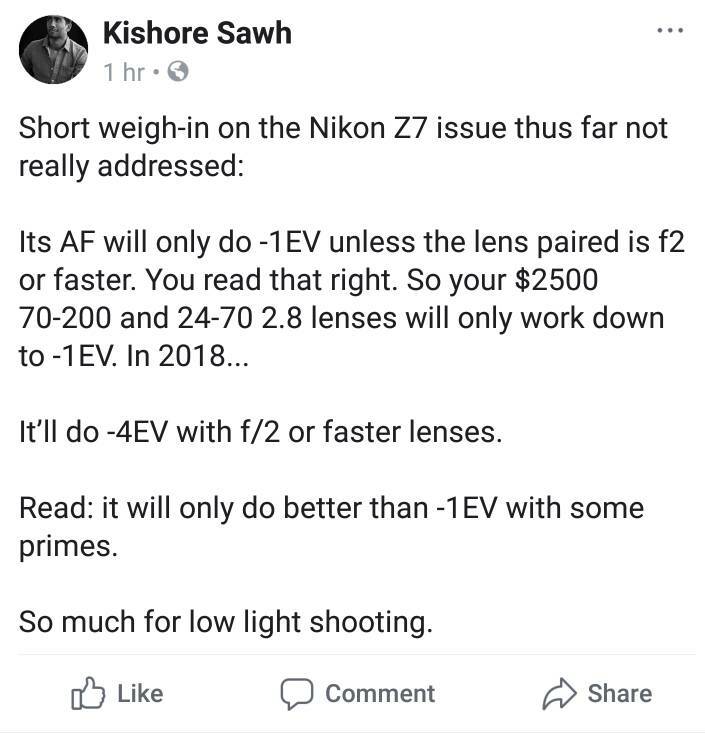 Even Nikon was shocked by the results and more than a few of the people who were able to use these cameras before the announcement report that battery life was MUCH better than the specs would indicate. On a positive note the video features of the Z6 far outweigh the competition. Full frame, 4k, log and 10 bit recording is only possible on $30k+ cameras (although admittedly they also offer raw). With the addition of a cage and external recorder you have a serious bit of video tech at your hands for about $3k. Ok aimed at a different customer base but the new Canon rumored has one card slot and no IBIS. Could the D5 be the last professional Nikon DSLR?